It’s easy to forget, when we are in the middle of saying all of our goodbyes to family and friends, that our new life in another country actually will start. 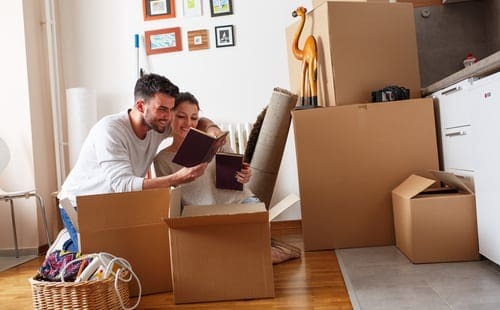 In the midst of all of the excitement of selling off your worldly possessions, saying goodbye to everyone, and making your last rounds at familiar places, you might have forgotten that once you move, you’re going to need all of the usual items. In your new pad, you’ll need all of the main appliances, as well as the smaller daily items you wouldn’t think you would need. Did you pack a fork? How about a toaster oven? Did you remember to bring your vegetable peeler? Obviously when you are getting ready to move, you aren’t going to bring everything under the sun with you. But fortunately for you, there is a great new service that is going to help you re-stock on all of the items you will need in your new life. When you buy an item through AO, make sure to apply huge discounts and savings opportunities from its partnership with Groupon. Right now, AO is partnering with Groupon to offer Discount Codes. These Discount Codes will help you save thousands of pounds on all kinds of items, from televisions to toothbrushes. Even better, you can score on free delivery- so it’s a completely hassle free move. If you are trying to make your move over to the United Kingdom a bit smoother, you definitely want to look into AO.com. There’s nothing better than having free delivery at discounted prices. Now that you have this great tip to save you both time and money, you can spend your money and time doing the kinds of things you moved to the UK for in the first place. Check out some of the beautiful countryside, visit the Highlands, spend some time in some pubs, visit Buckingham Palace… it’s all open to you now that you have made the big move and figured out how to do so efficiently.